Pierfrancesco Vago is the Executive Chairman of MSC Cruises since 2013. Prior to that, as the Company’s Chief Executive Officer, he led MSC Cruises to over 800% growth since its inception. In this position, he drives MSC Cruises’ vision and long-term strategy from the Company’s global headquarters in Geneva, Switzerland. He has spearheaded the launch of the Company’s new fleet expansion plan, supporting the next phase of MSC Cruises’ growth. It encompasses the entry into service of 17 next-generation cruise ships between 2017 and 2027, reflecting a capital investment exceeding €13.6 billion (approx. $15.6 billion) MSC Cruises’ passenger capacity is set to triple during this period as a result. Having majored in Economics at the University of Cambridge, UK, Mr. Vago entered the MSC Group in 2000, piloting a joint venture between the Italian-based ferry company SNAV and the Hoverspeed Sea container Group. In 2001 he rose to the position of Line Manager for the USA, Mexico and Canada within the Group’s container shipping business, MSC Mediterranean Shipping Company. 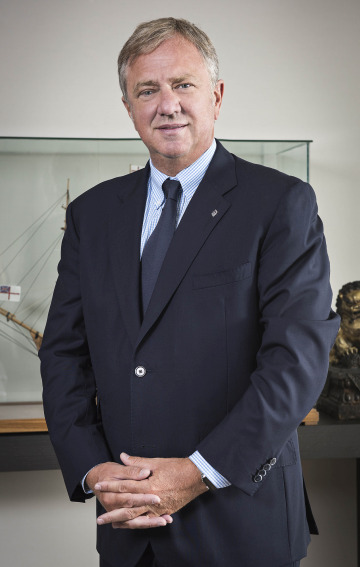 In January 2014, Mr. Vago became Chairman of CLIA Europe, the European branch of the cruise industry’s global association, a position that he held until December 2016. During this time Mr. Vago led CLIA Europe to take an increasingly more central role in engaging with all the relevant European and national authorities and legislative bodies across the Continent, with a particular focus on Brussels, and in close cooperation with CLIA Global. As a member of CLIA’s Global Executive Committee, Mr. Vago continues to be closely involved in the Association’s work and activities. He also remains a member of CLIA Europe’s Executive Committee and Board. 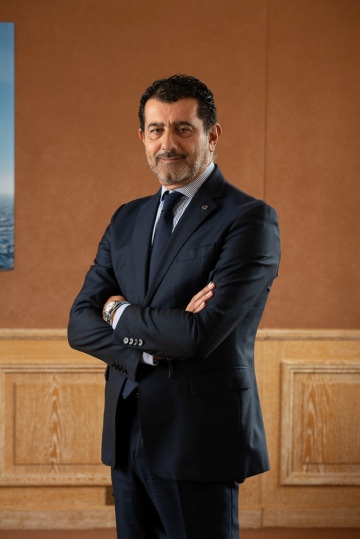 As Chief Executive Office of MSC Cruises, Gianni Onorato oversees the Company’s growth from its Geneva-based headquarters and reports to the Board of Directors and to its Executive Chairman, Pierfrancesco Vago. With over 30 years’ experience in the cruise industry, Mr. Onorato has a finely developed understanding of the cruise business and extensive knowledge in senior executive leadership, having served as President of Costa Cruises from 2004 to 2013. Born in Italy, Mr. Onorato graduated from Naples’ Istituto Orientale with a degree in Foreign Languages and Literature in 1983, and then specialized at SDA Bocconi School of Management in Milan and INSEAD in Fontainebleau. He began his cruise industry career in 1986 at Costa Cruises as Food and Beverage Manager before becoming Cruise Product Director. From 1997 he served as Vice President & Cruise Operations Director and was responsible for logistics and provisioning, as well as all activities relating to calls, excursions and hotel operations. Richard E. Sasso, chairman of MSC Cruises North America, has been a popular and well-respected figure in the cruise industry for more than 44 years and involved in the travel industry for 48 years. 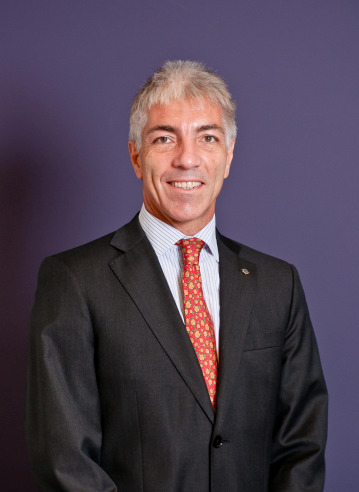 After holding key positions at Costa Cruises and Chandris Cruises, Sasso joined the senior management team that launched Celebrity Cruises in 1990. He served as president of that line from 1995 to 2002 and was instrumental in establishing it as a top premium cruise line. 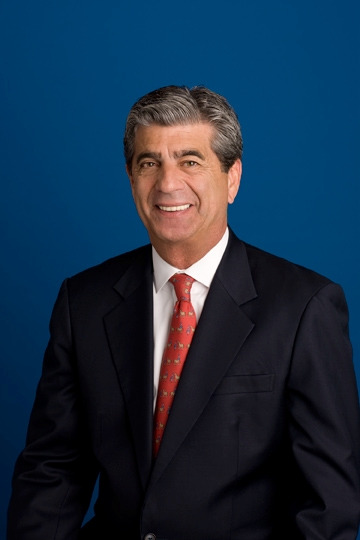 Sasso was named president of MSC Cruises USA in April 2004. Since then, he has effectively positioned MSC Cruises for growth in the North American market and in November 2013, MSC Cruises debuted one of its most dazzling vessels, MSC Divina, to Port Miami. In August 2016, Sasso assumed the role of Chairman of MSC Cruises for North America. Backed by one of the world’s largest container shipping companies, MSC Cruises has emerged as a fast-rising star, winning multiple industry awards over the years for its world-class entertainment, unique itineraries and authentic international cuisine. MSC Cruises is the largest privately owned cruise line in the world with a fleet of 12 cruise ships. It is also the fastest growing cruise lines in the industry – growing 800 percent in capacity between 2004 and 2014. MSC Cruises is in the midst of a $10.2 billion investment plan which will bring up to 11 new next-generation ships into service between 2017 and 2026. In 1999, Sasso was named “Cruise Industry Executive of the Year” by a leading travel industry trade magazine. In 2011, he received the coveted “Hall of Fame” recognition from Cruise Lines International Association (CLIA) for his many efforts and accomplishments that have led to significant contributions in the growth of cruise vacations. Over the years, he has served as chairman of both CLIA and the Florida-Caribbean Cruise Association (FCCA) as well as chairman of CLIA’s Marketing Committee. Sasso recently published UnselfishWorld, a book based on his philosophy of encouraging ourselves and others to be the most unselfish individuals we can be. Sasso lives in Ocean Ridge, Fla., with his wife of 44 years, Carmen. Roberto Fusaro, president of MSC Cruises North America, is an MSC Cruises veteran, previously serving as a long-time manager in the company’s South America division. Fusaro began his tenure with MSC Cruises in 2005 and has been engrained in the cruising industry for more than 20 years. Previously within MSC Cruises, Fusaro steered the company’s business in South America as Managing Director to become the leading cruise line in the region. He joined the North American division of the company in August 2016, to drive strategic growth in the market as it debuts its stunning new ship to the U.S., MSC Seaside, arriving to PortMiami in Dec. 2017. Born and raised in Buenos Aires, Argentina, Fusaro’s background is in accounting and finance. He began his career at Arthur Andersen, working as a CPA while simultaneously earning his MBA at the University of Chicago. In 1993, Fusaro joined Costa Cruises, igniting a longstanding career in the cruising industry. Backed by one of the world’s largest container shipping companies, MSC Cruises is the Swiss-based, world’s largest privately-owned cruise line and brand market leader in Europe, South America and South Africa. The company has emerged as a fast-rising star, winning multiple industry awards over the years for its world-class entertainment, unique itineraries and authentic international cuisine. MSC Cruises is the largest privately owned cruise line in the world with a fleet of 12 cruise ships. It is also the fastest growing cruise line in the industry – growing 800 percent in capacity between 2004 and 2014. MSC Cruises is in the midst of a $10.2 billion investment plan which will bring up to 11 new next-generation ships into service between 2017 and 2026. Fusaro currently lives in Sunny Isles Beach, Fla. and works out of the Fort Lauderdale-based office of MSC Cruises.